The EMAX Pro 280 is a great quadcopter for someone with experience in flying drones, but don’t want to build one by themselves. FPV racing has caught the imagination of a large number of drone enthusiasts and hobbyists around the world. 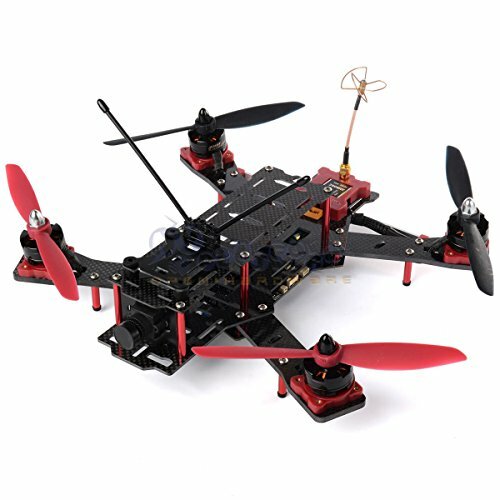 If you are into FPV quad racing and looking for a budget RTF racing quad, but don’t like building and soldering, the EMAX Nighthawk 280 Pro is our top choice. 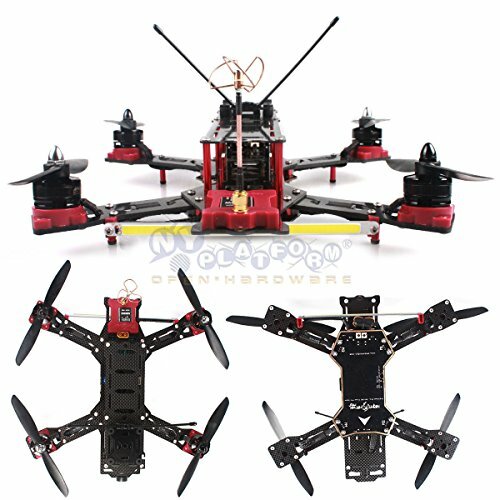 The EMAX Nighthawk Pro 280 is an almost-ready-to-fly (ARTF) quad. This means that after few adjustments to its settings, it can be used right out of the box. The EMAX Pro 280 is by no means perfect. However, for all the disadvantages we can’t ignore the price and expandability this quad offers for people willing to get stuck in. 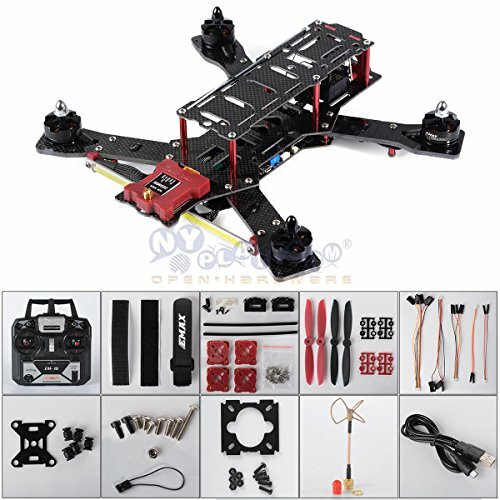 It is a much cheaper alternative to other full sized FPV quads. In this Nighthawk Pro 280 review we’ll tell you everything you need to know before you decide whether it’s worth a buy or not. The EMAX is fully assembled and ready to fly. You only need to insert your battery and you are ready to go. Usually batteries get mounted to the top or bottom of the drone since there is no other room. However, by mounting in the centre the battery is protected and brings the centre of gravity closer to the plane of the motors, making handling better and allowing tighter rolls. There is an Integrated LED bar used, which is extremely bright. 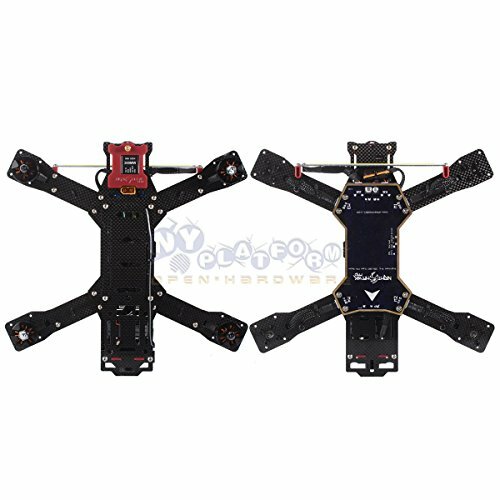 LED lights can help you to distinguish from other quadcopters when racing. It comes with white and orange color. It is important to note that LED power consumption is 4W, which might reduce flying times. 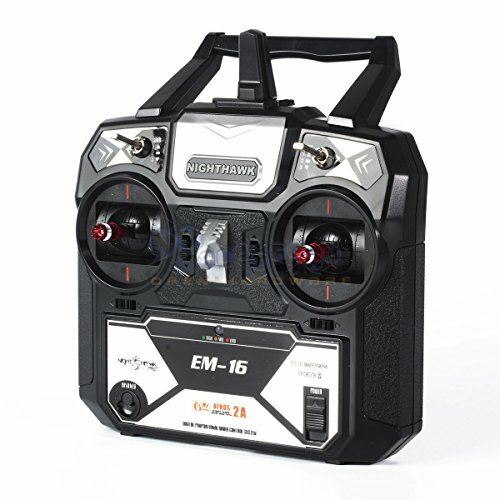 The EMAX Pro 280 comes fully tuned with the new flight controller called „Skylight 32“. 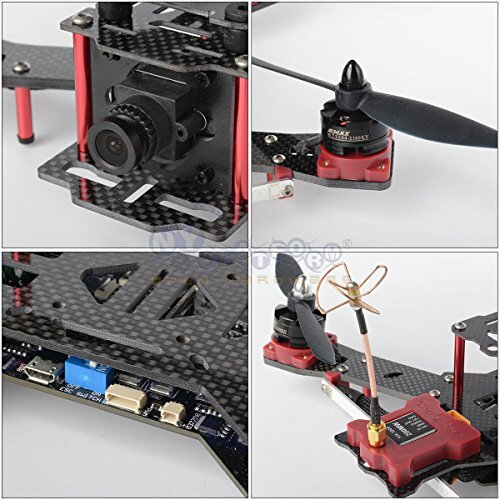 The flight controller uses 32bit ARM micro processor for fast response and fast process speed. However, the controller is placed at the back of the quadcopter and the position couldn’t be much worse. It practically asks to be destroyed in the first crash. 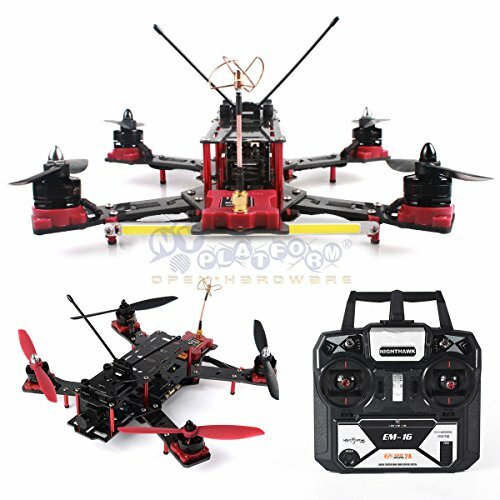 The power system consists of EMAX 2204 2300 kV motors and 6045 propellers. For faster forward flight angled motor mounts is installed as standard. Angled motors optimize forward thrust without sacrificing elevation and that is exactly what you need for FPV racing. The motors are pre-installed with connectors. This eliminates the need for soldering. 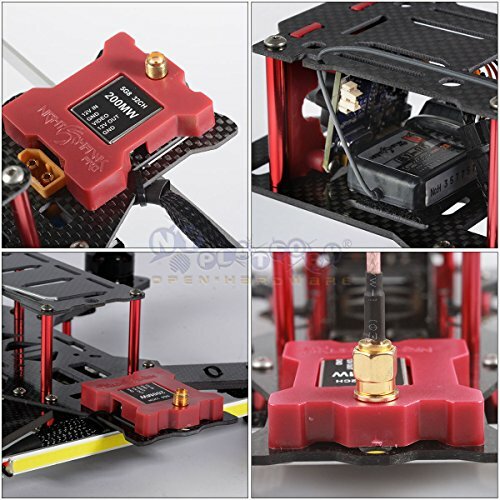 The ESC’s used in this drone are EMAX 12A ESC. They are Oneshot compatible and also damped-light capable. All the ESC’s and FC are integrated into one printed circuit board, which makes upgrades a lot more involved than they would be if you had separate ESC’s and FC. SO burning one ESC means replacing the whole board. Luckily, the replacement board can be purchased as spare which costs about $60. However, the great thing is that all ESC cables and power distribution wired come braided. 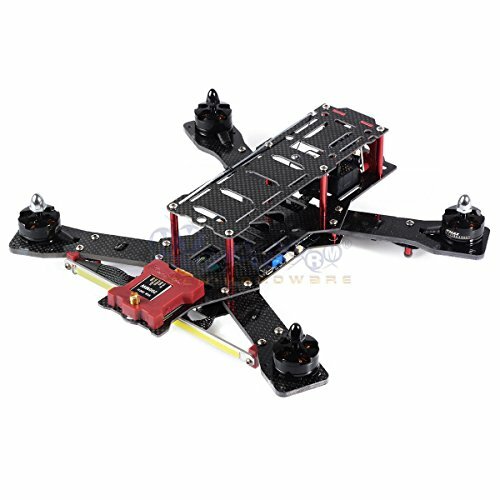 The FPV system consists of a 700tvl 1/3-inch FPV camera with optional tilt mounts to ensure you have a perfect horizontal view in flight. The picture quality is very good, but for the first time make sure to get the focus right. It is also recommended to check if the lens screw is tightly screwed. There is also a 200mw 32ch video transmitter. It has selectable power between 20mw and 200mw. The transmitter has a selectable power output, so that you can comply with race rules / local regulations if they include a power limitation. The EMAX Pro 280 is a great quadcopter for someone with experience in flying drones, but don’t want to build one by themselves. The Nighthawk 280 Pro provides a great choice for people interested in getting started and looking for something to try out without splashing too much money. Overall, this quad provides excellent value for money.